At Enviro-Assist, Ltd we know that septic systems can be a better and more economical means of sewage disposal than public sewers. Septic systems don’t have to fail, and we are dedicated to keeping them working. Our septic system evaluations go beyond the industry standard, giving you the insight and knowledge to make sound decisions with comfort. When it comes to engineering, we design systems with minimal maintenance needs to ensure long term efficiency and success. Now serving: Brighton, Howell, Hartland, Highland, Milford, New Hudson, South Lyon, Northville, Plymouth, Ann Arbor, Saline, Milan, Ypsilanti, Whittaker, Manchester, Dexter, Chelsea, Gregory, Pinckney, Hamburg, Whitmore Lake, Willis, Scio, Salem. 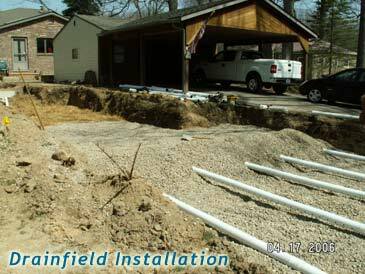 © 2019 Enviro Assist – Septic System Services – Michigan. Theme by Solostream.